The RWPE (Rare Whisky Port Ellen) Index contains all official releases from this collectible Islay icon up to and including the twelfth release. The current index has been re-based and supercedes our original 2008 index. 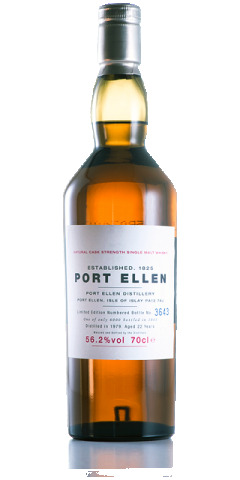 Port Ellen distillery has attained legendary status among drinkers, collectors and investors. Closed in 1983, no more spirit will ever be distilled. Dwindling stocks remaining in the cask are putting significant upwards pressure on prices in both the primary and secondary markets.